Meet your 2018 Activ All Stars! Mia is the youngest of four children in her family. She is very lucky to have an extremely supportive family and extended family who will be travelling (some from interstate) to attend the Busselton and Perth Chevron City to Surf for Activ events to support Mia and the Activ All Star team. 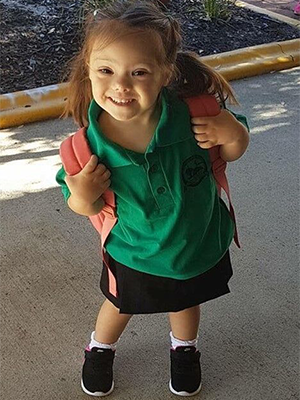 Mia is a very happy little girl who loves to dance to the Wiggles and Bruno Mars. Mia loves her pets and showing them to people – she has a rabbit and 2 guinea pigs. She is creative, imaginative and enthusiastic and likes it when people interact with her at her level with patience. Mia mostly communicates through the use of gestures, she doesn’t use many words, but her family and Support Worker are helping her learn more. Mia’s mum, Claudia is great at encouraging/helping Mia communicate with others. Mia loves to smile at the camera and can be a little cheeky. 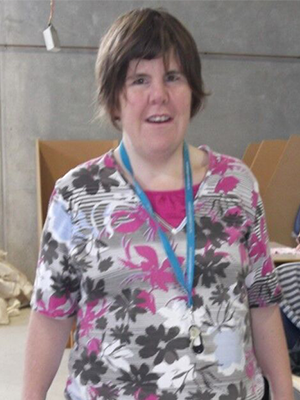 Mia has a support worker (Janine Streat) whom she spends time with fortnightly. This time is great for Mia as it gives her some freedom and understanding that other people can come into her life and look after her, although she is young, this time assists in getting Mia more independent from her family. This time also helps Mia’s parents to spend time and do things with their other children that they may have been missing out on. Activ assists Mia’s entire family, when her siblings need any assistance, Activ will help in any way they can. Mia is excited to start using the new Noah’s Ark Toy Library. Raz (Raziel) is relatively new to Activ. 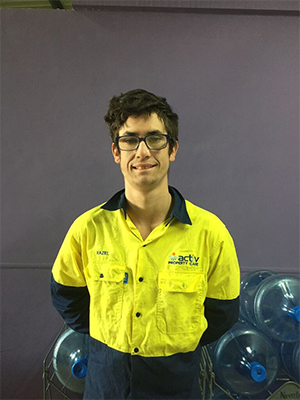 Since he turned 18 he has been working in Property Care for Activ in Busselton. He loves his work for Activ and finds it to be fun working with new friends. Activ is also assisting Raz to get into his own accommodation in Busselton. Raz loves the outdoors, so his job with Activ in Property Care is perfect for him. One of his proudest achievements is winning “Best Wave” in a surfing competition. Raz is excited by the new experiences of being an Activ All Star and thinks it will be a great opportunity to make new friends and encourage others to “Get out, have some fun and give it a go.” In the future Raz wants to travel around Australia, so getting to know his home-state of WA through the Chevron City to Surf for Active series is a great start. When asked what his goals were for the future, Raz responded: “To get my driver’s license and to keep doing the best I can.” Raz likes his independence but loves being around his friends and encouraging others to do well. He strives to challenge himself and others around him to achieve their goals. Kiralee has been a customer with Activ for the last 5 years. She uses Activ’s People Skills and Community Services as well as Home and Community Care services to help her develop independence. Activ has assisted Kiralee to develop crucial social skills for her everyday life in the community. Kiralee is playful and energetic. She is always smiling and laughing. Her positive attitude is contagious to those around her. She loves to try new things and to travel, so it is no surprise that she is excited to travel as part of the Activ All Stars team. Kiralee is looking forward to representing Geraldton as an Activ All Star and is keen to show the public how Activ helps people living with disability. She is looking forward to making new friends and promoting the fun atmosphere that the Chevron City to Surf for Activ has to offer. In the future, Kiralee plans on continuing to work hard on her independence and her dream is to own her own business one day. She loves reading, cooking, studying and learning. 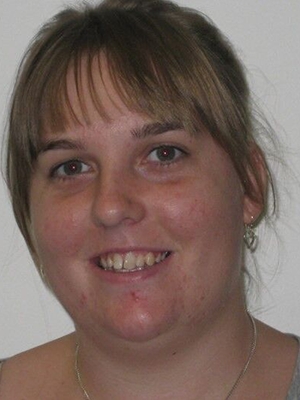 Christie worked at Activ Kalgoorlie before moving to Albany in 2012. Since 2012 Christie has been working at an Activ workshop in Albany. Support workers also assist Christie in her everyday life by enabling her to integrate into the community and learn independent living skills. Christie has represented WA in the Special Olympics National Games in the Gold Coast, Melbourne, Adelaide and New Zealand. She trains weekly with her support worker and is excited to have another event to strive for – The Chevron City to Surf for Activ. Christie loves to make new friends and looks forward to water aerobics, art classes and exercise classes with new and old friends each week. Christie is thrilled to be an Activ All Star; she is excited to make new friends and travel to new places. She is keen to compete in the Chevron City to Surf for Activ series as she loves running and keeping healthy. Christie wants to keep working with her support workers to work hard on her independence skills and hopefully live in her own home with a friend in the future. Christie’s ultimate goal is to one day represent Australia at the international Special Olympics. Paul has a longstanding history with Activ, which has helped Paul gain employment in various roles. Paul works with a support worker twice a week who helps him with shopping, appointments and community services. Paul enjoys his work with Activ and one of the reasons for this is that it has given him the ability to meet and work with people that have similar disabilities to himself. Paul’s family are extremely grateful for the services. Activ has provided to Paul over the years. The assistance of Activ has helped Paul to develop essential life skills and has aided in ensuring a successful future for him. Paul has represented WA and Australia in Athletics and has been awarded scholarships with W.A.I.S. and the A.I.S. 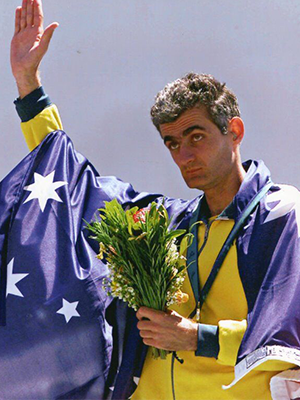 His proudest achievement was winning Gold at the Sydney 2000 Paralympic games in the men’s 1500m, after which he received a Medal of the Order of Australia for his athletic achievements for Australian sports. Paul competed in Europe, the U.K., America, and Australia in which he broke world records (since broken) in 1500m, 5000m and 10000m. Paul is no longer a competitive runner, although he still likes to run multiple times a week for fun and fitness. Paul is a recognised artist having displayed and sold several of his artworks at both Activ Art Exhibitions and As We Are Artists with Disabilities. Paul is enrolled at TAFE completing further art courses to enhance his artistic ability. Paul is honoured to represent Activ and looks forward to encouraging the community to get active for Activ. He believes getting involved in any form of sport is important for your health and cannot wait to work with his fellow Activ All Star teammates to promote Activ’s services and encourage the community to take part. Support our 2018 Activ All Star team in their Fun-Raising efforts – Donate Now!